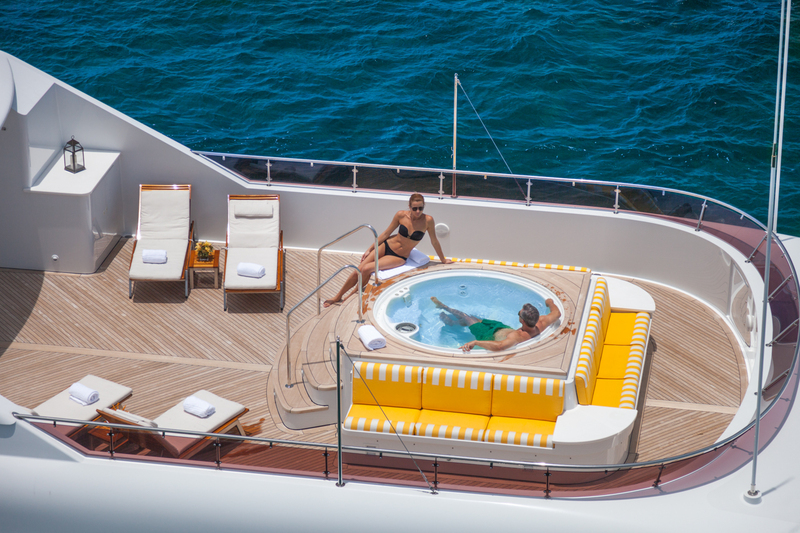 A super yacht charter is the ultimate on-the-water luxury travel experience. 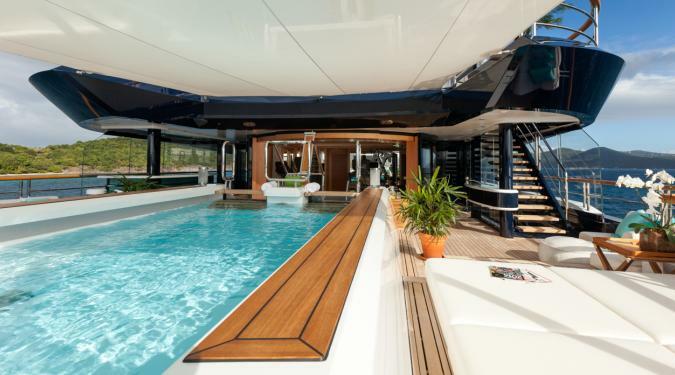 No cost is spared in the design and building of these one-of-a kind superyachts that stretch from 80 to over 300 feet in length. 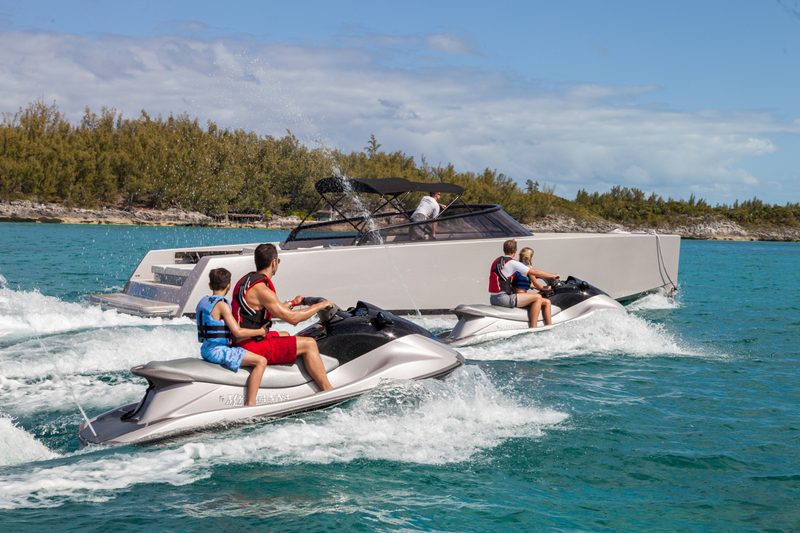 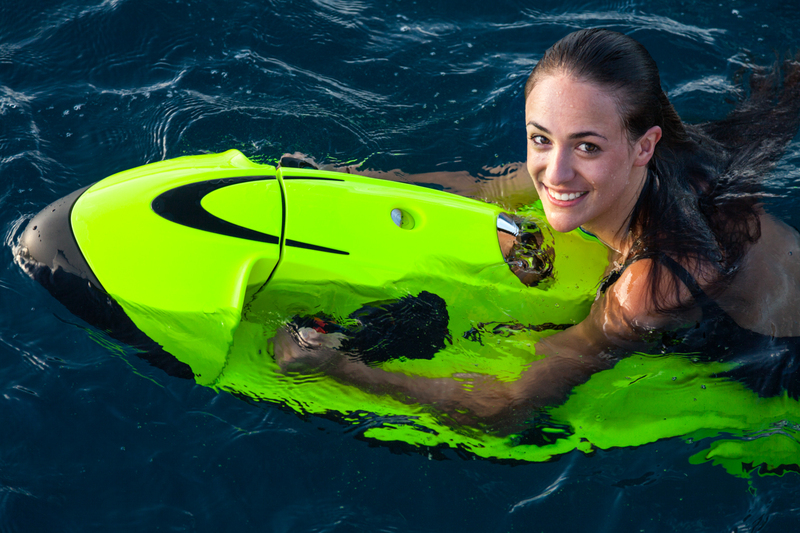 They offer the best in marine technology, design, entertainment and recreational equipment. 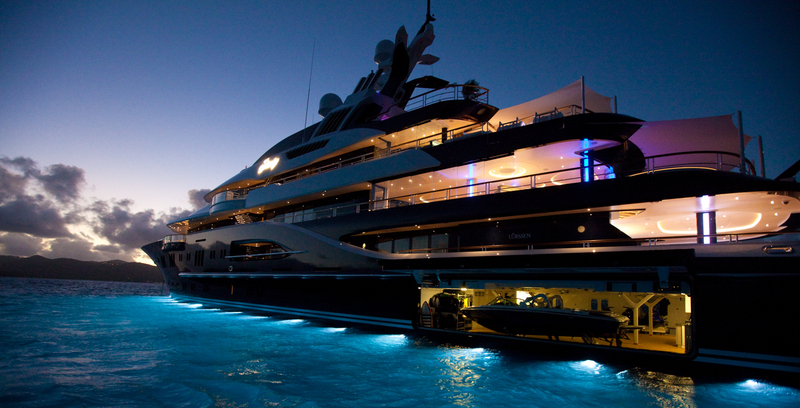 Each individual owner invests millions of dollars to purchase, outfit, and maintain his or her yacht. 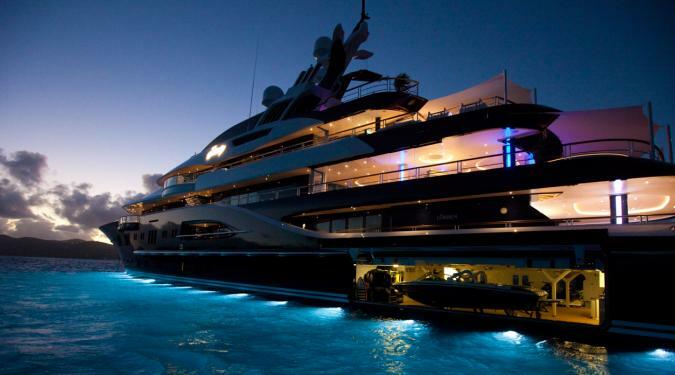 For a fraction of the cost, you can be the “owner” of one of these yachts for a week or two. 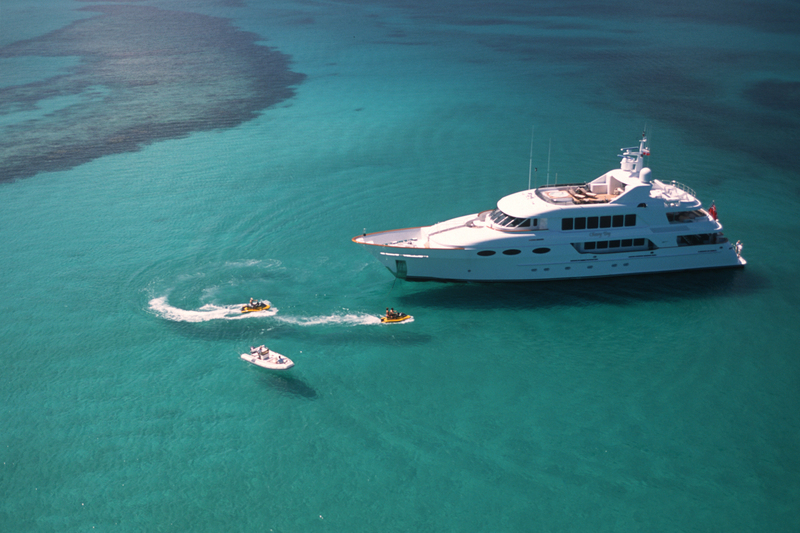 Despite their grand size, most super yacht charters only sleep up to 12 guests overnight which ensures extraordinary space, service, and luxury for each guest. 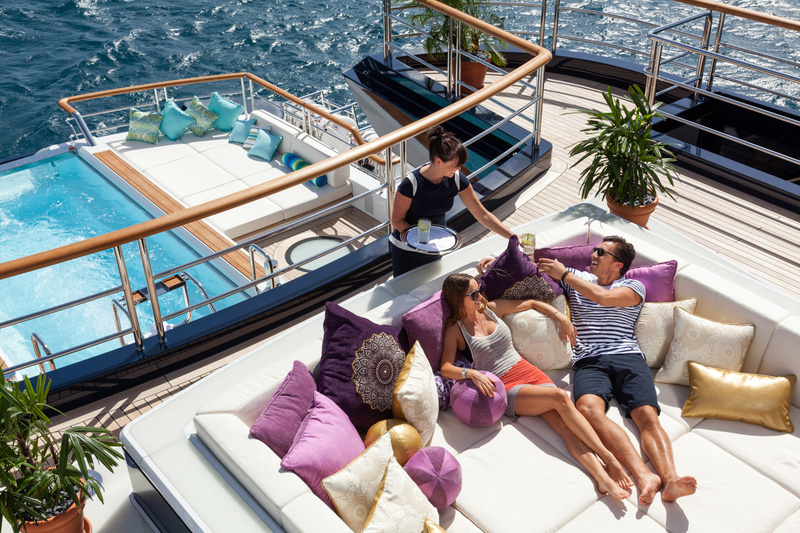 These luxury superyachts for charter are out of the “Lifestyles of the Rich and Famous” and are designed for the most discerning traveler who is seeking exclusivity, impeccable service, extraordinary pampering, exquisite accommodations, and state-of-the-art everything. 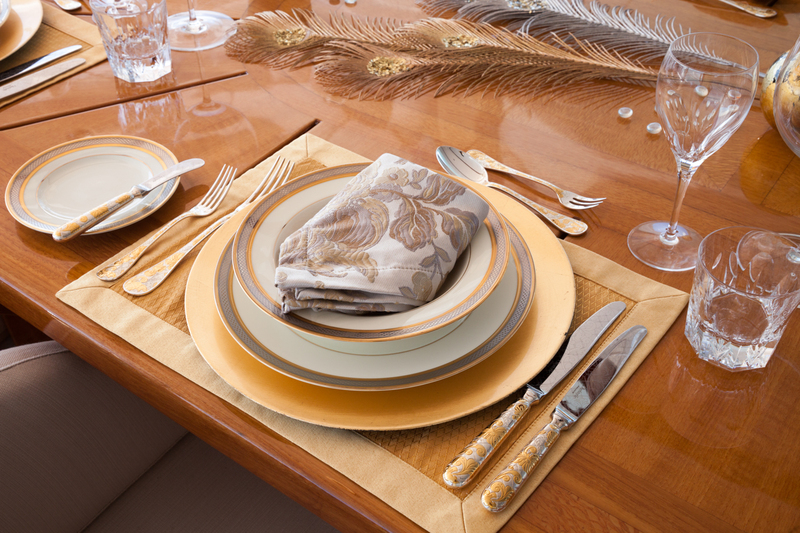 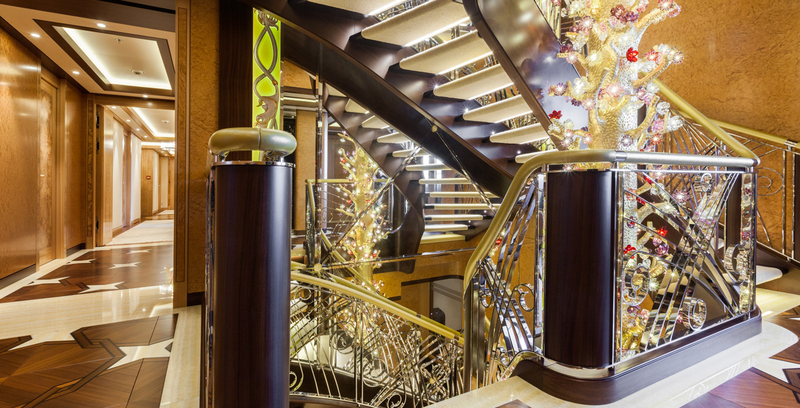 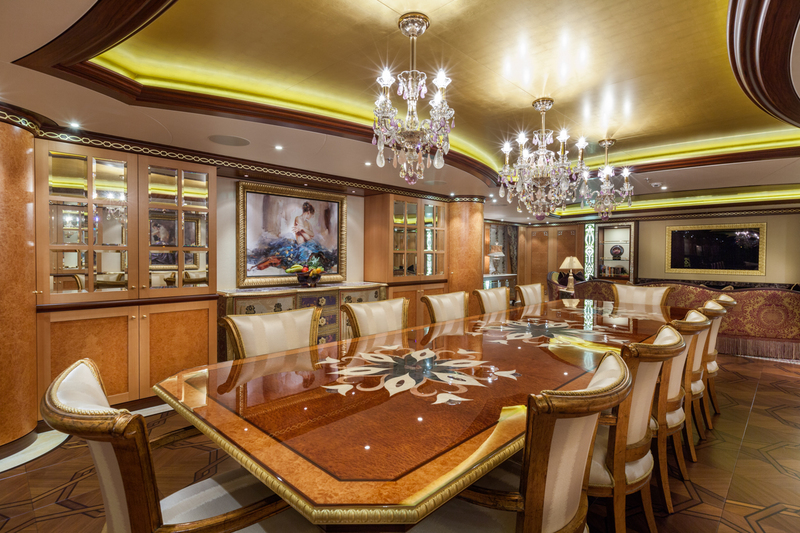 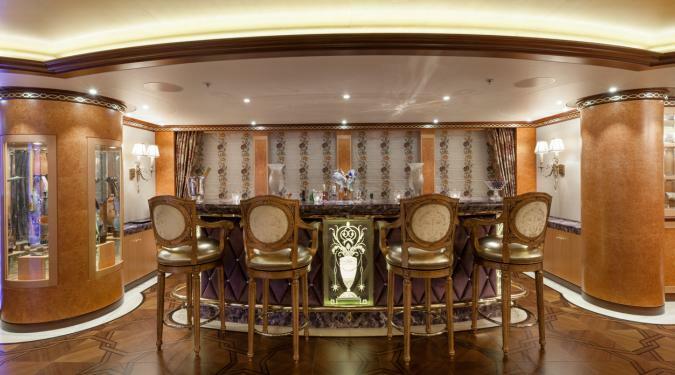 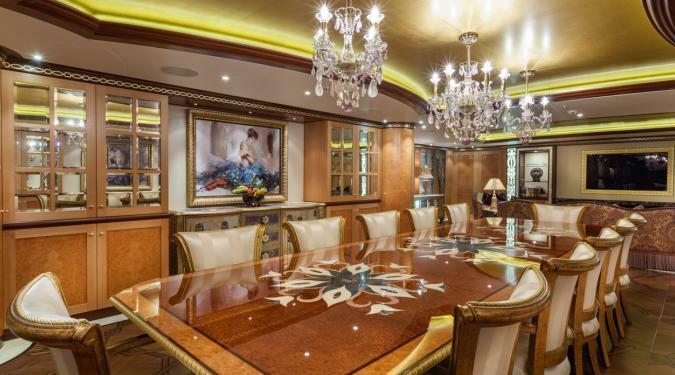 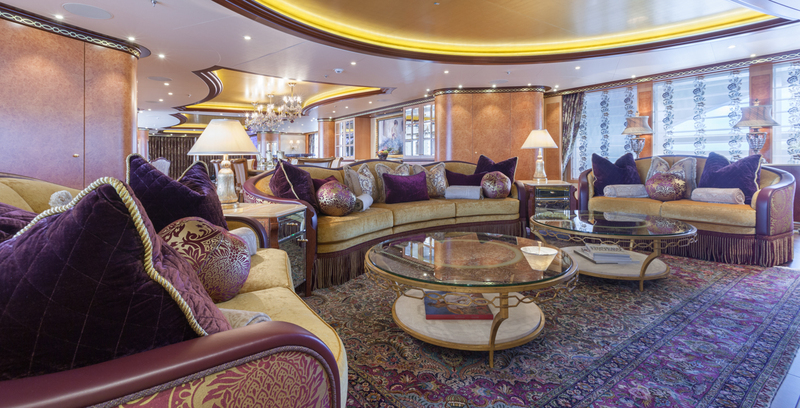 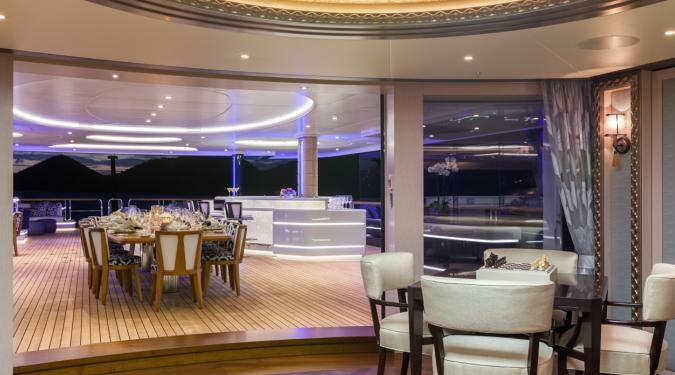 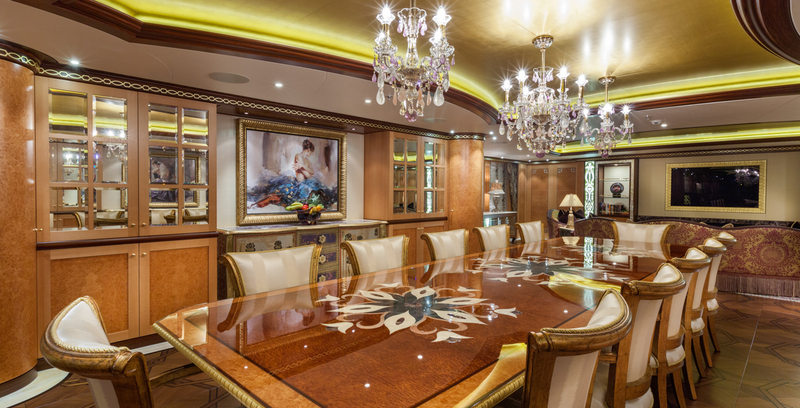 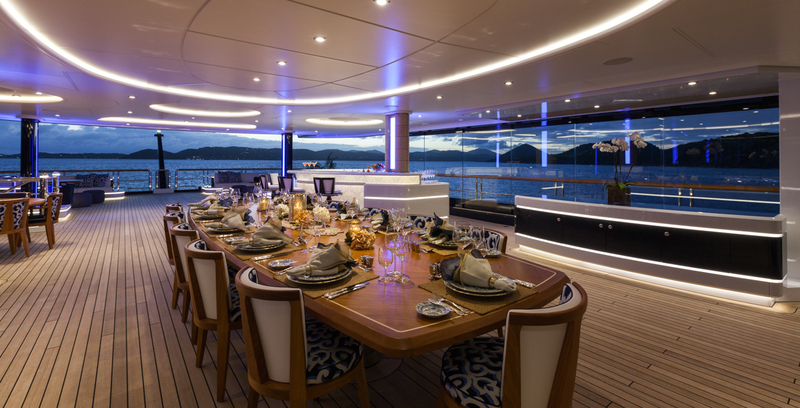 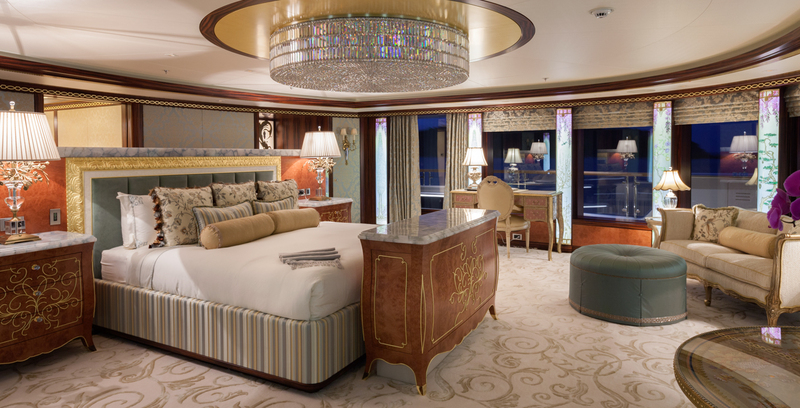 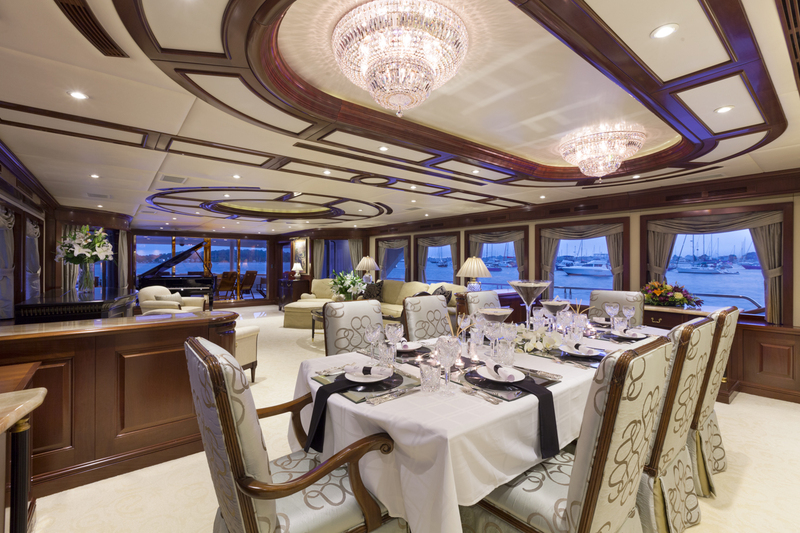 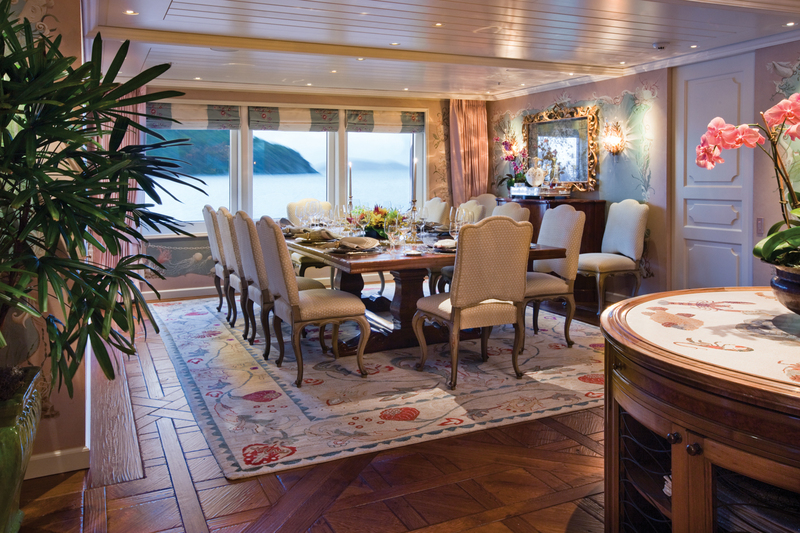 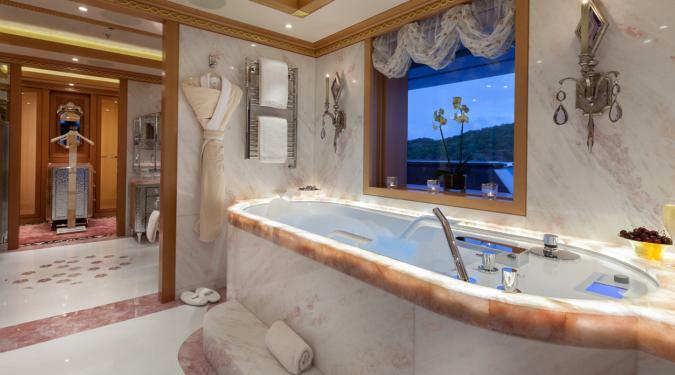 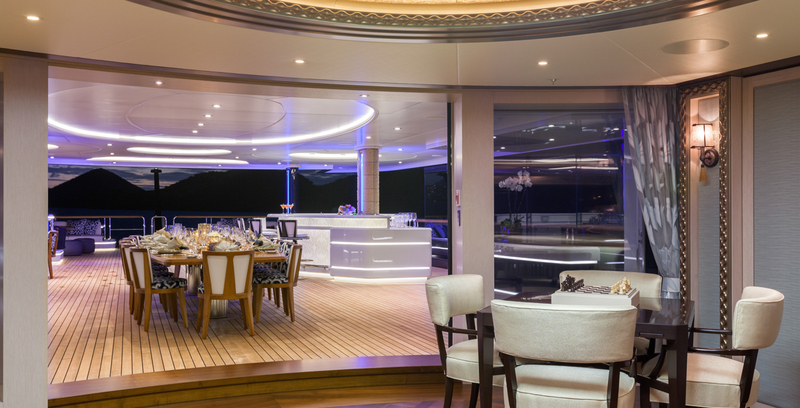 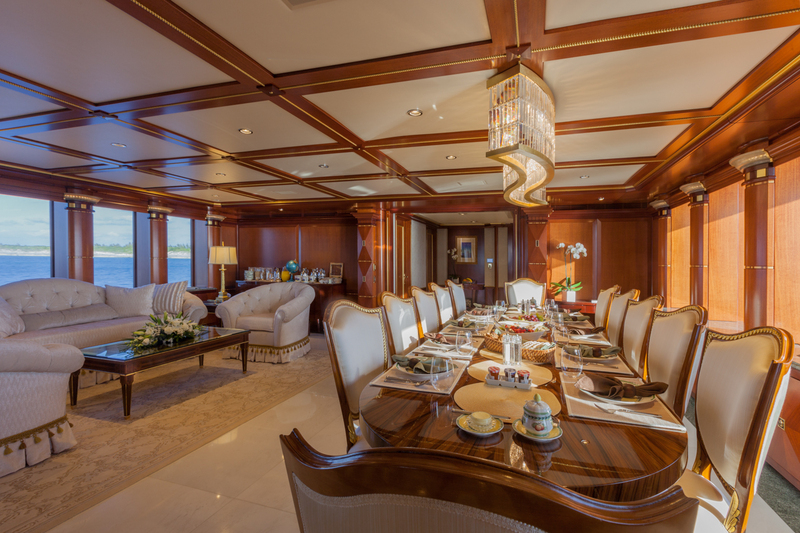 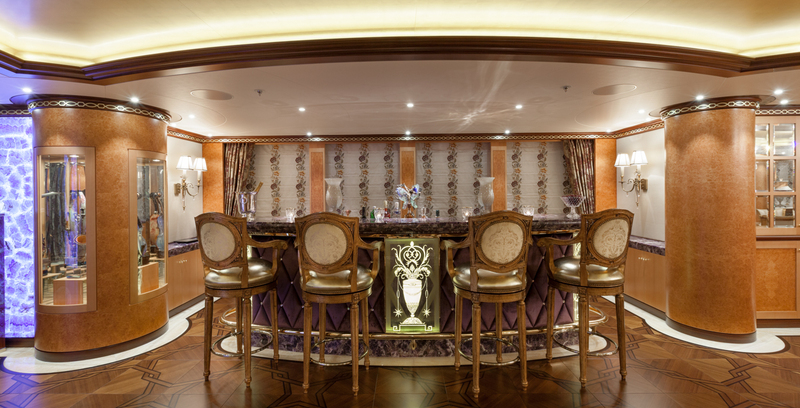 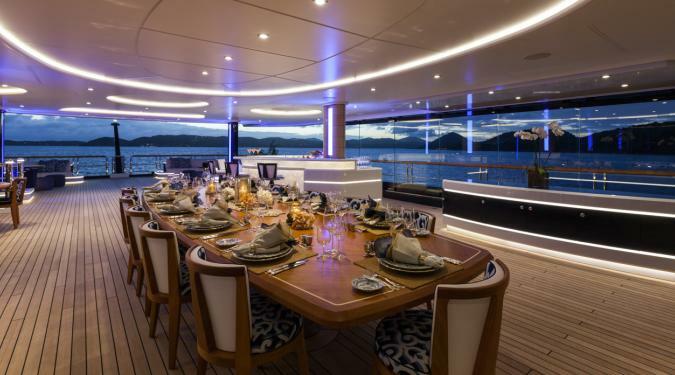 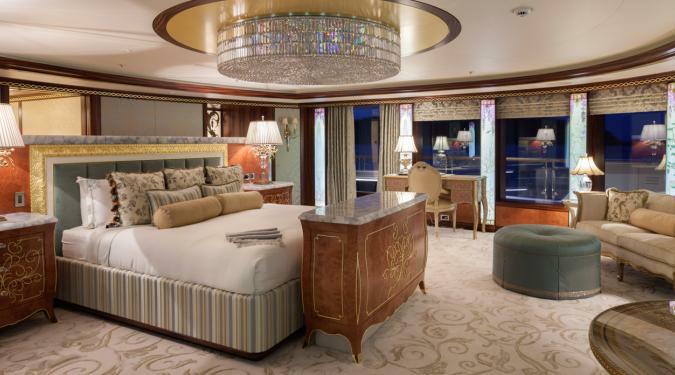 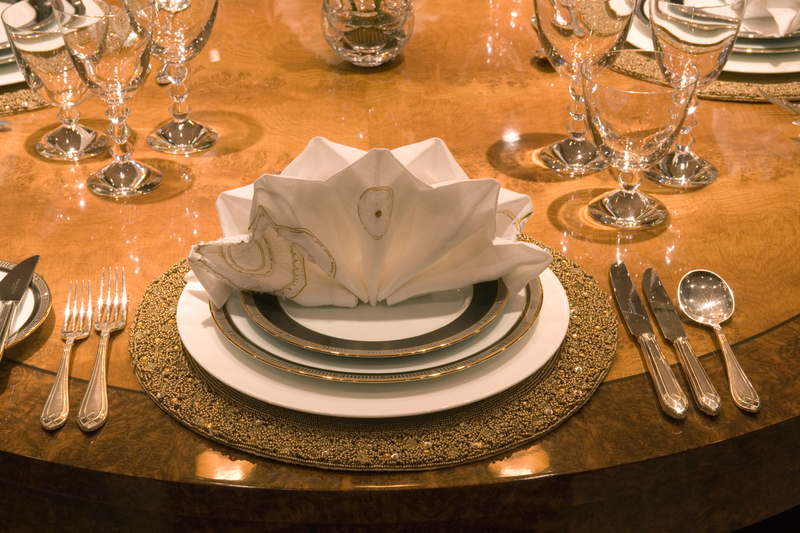 Exquisite Custom Interiors: The interiors of super yacht charters are created by renowned designers and feature original artwork, stunning craftsmanship, custom lighting and sound, and one-of-a kind furnishings. 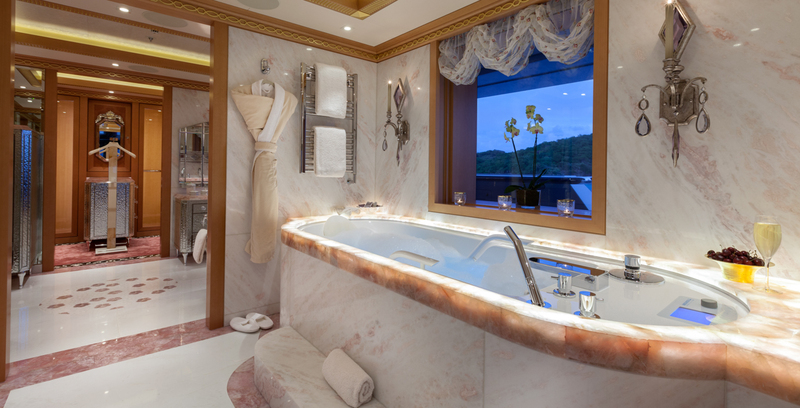 The master cabin is often its own private oasis with his and hers baths, walk-in wardrobes, an office, maybe even a private balcony. 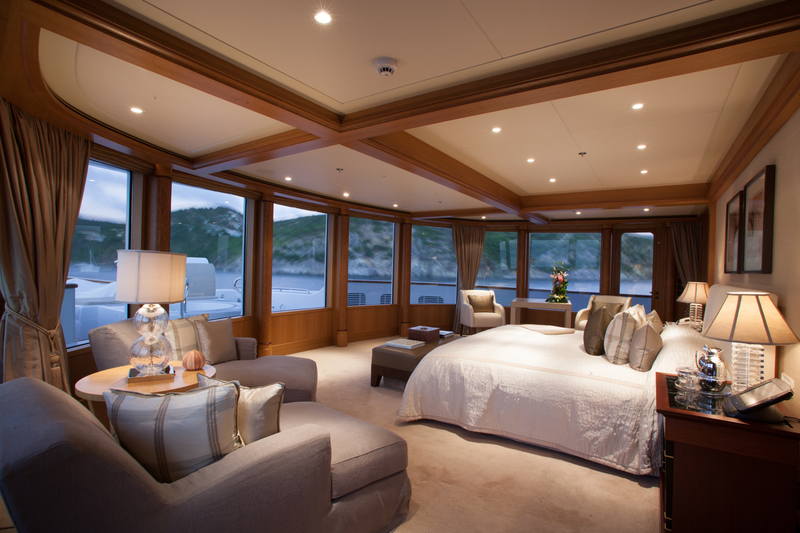 Onboard security systems are topnotch ensuring your privacy and safety. 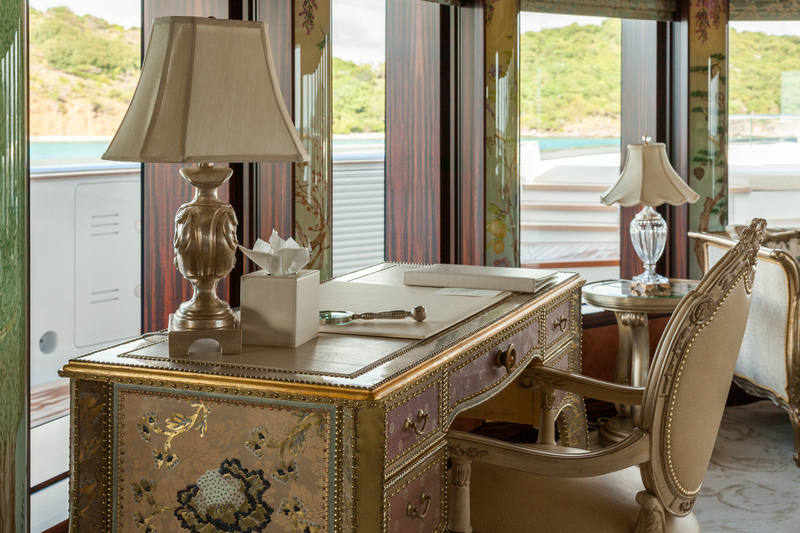 Communication and office systems allow you to easily mix business with pleasure… just in case you just cannot quite escape it all. 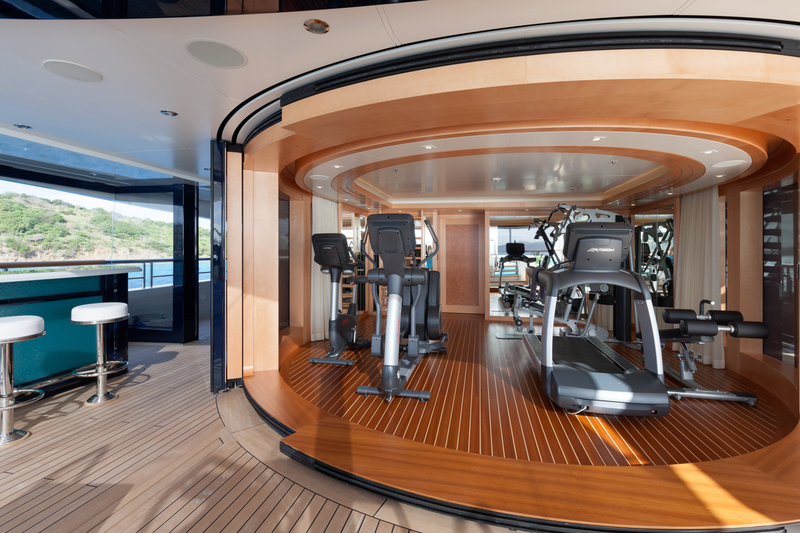 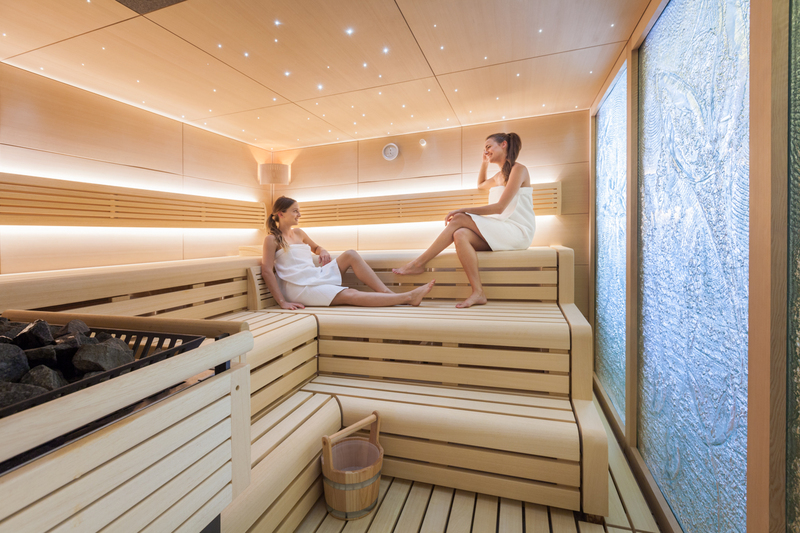 Whether you need multiple VIP cabins, kids’ cabins, a cabin for security or nannies, a separate office, a gym, a spa, or a cinema, we have luxury superyachts for charter that match your needs. 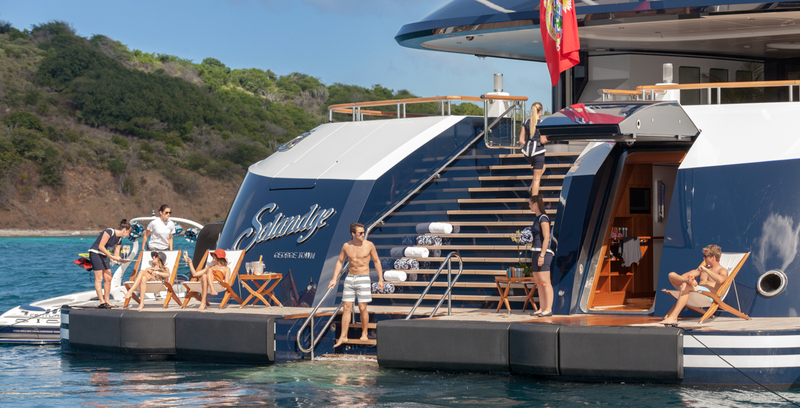 Extraordinary Deckspace and Toys: The super yachts’ charters' exterior boasts multiple decks with al fresco dining areas, lounging and sunbathing decks, Jacuzzi, and a boatload of watersports toys including a large towed tender for shoreside excursions, watersports outings, and sport fishing as well as snorkel gear, waterskis, tubes, wakeboards, waverunners, and kayaks. 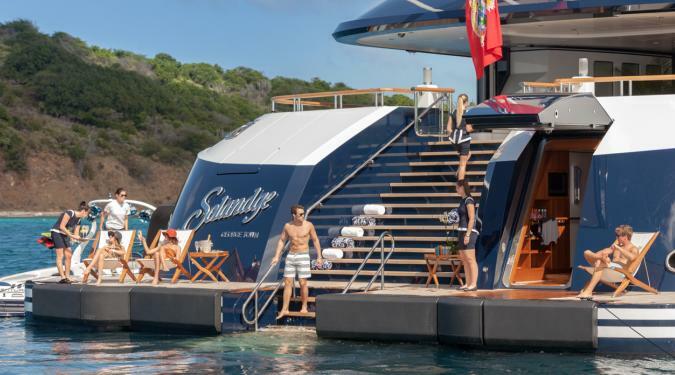 Some of the unique toys include jet-leve flyers, fly boards, submersibles, and an inflatable slide from the sundeck to the sea. 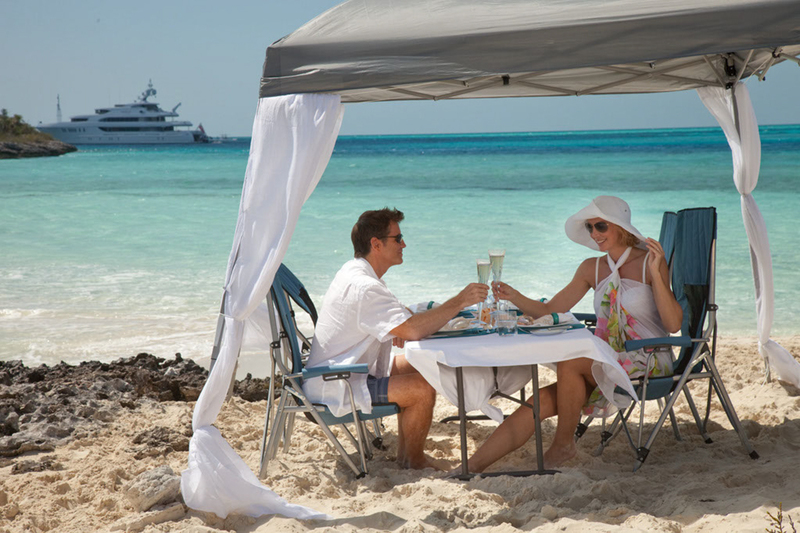 Many of them have a complete beach set-up with cabana and grill for some lazy afternoons on the beach. 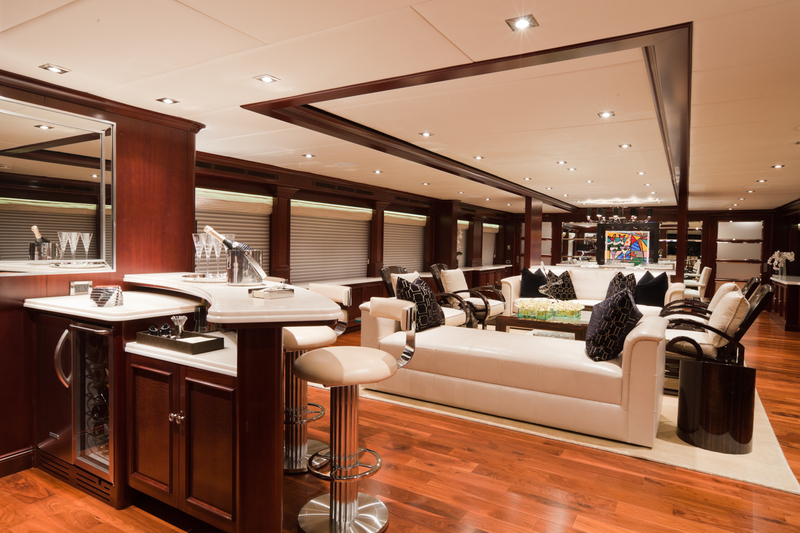 Just ask for what you want and we can have it on board. 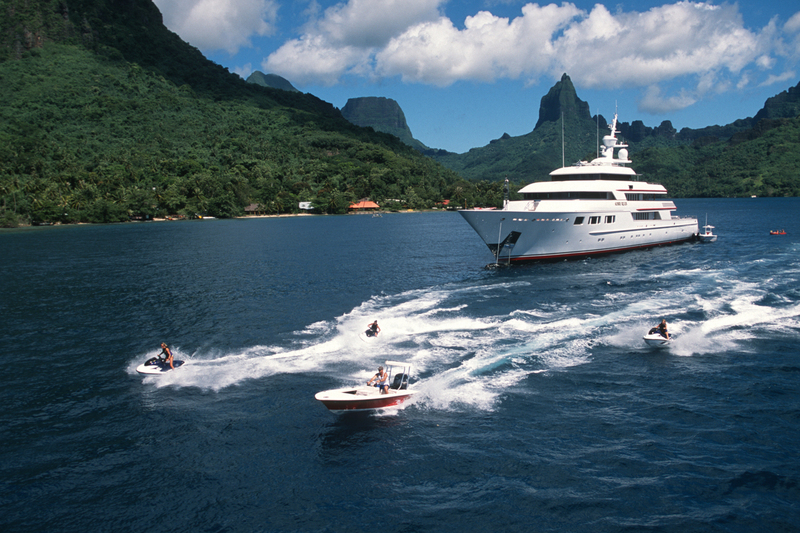 Professional and Discreet Crews: Superyacht charter crews are highly trained and adhere to strict safety and service protocol. 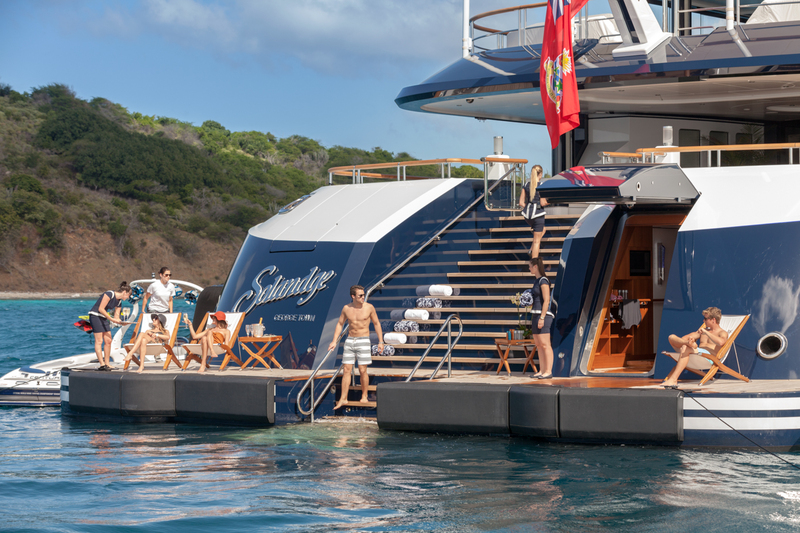 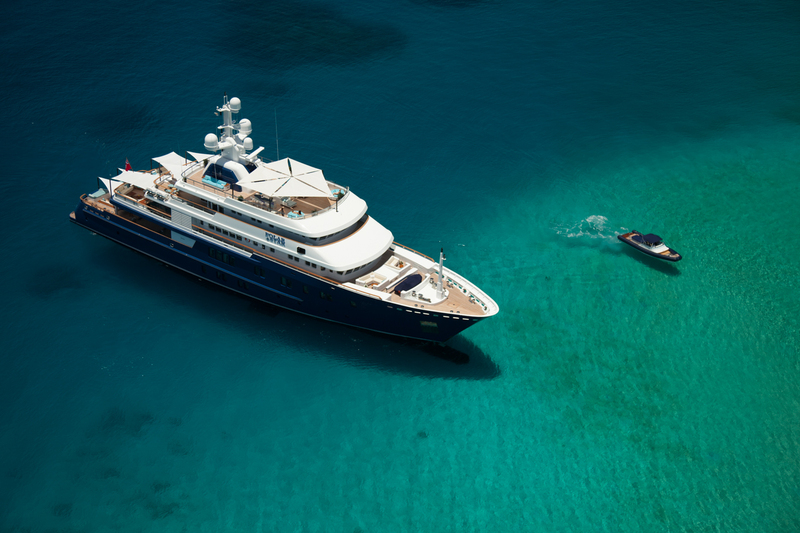 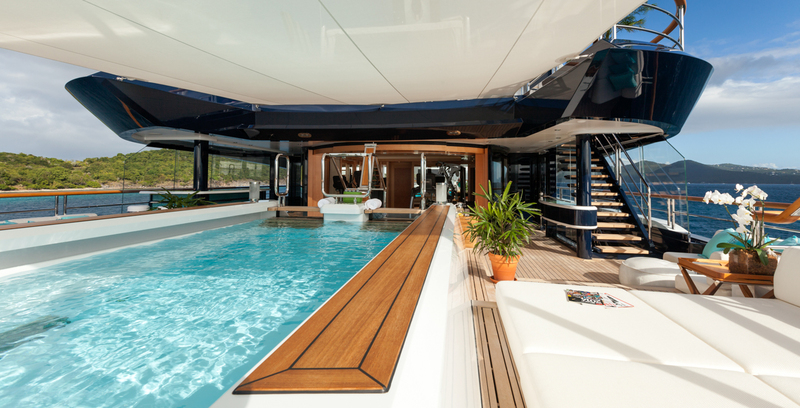 The crew size varies along with the size of the luxury superyacht for charter. 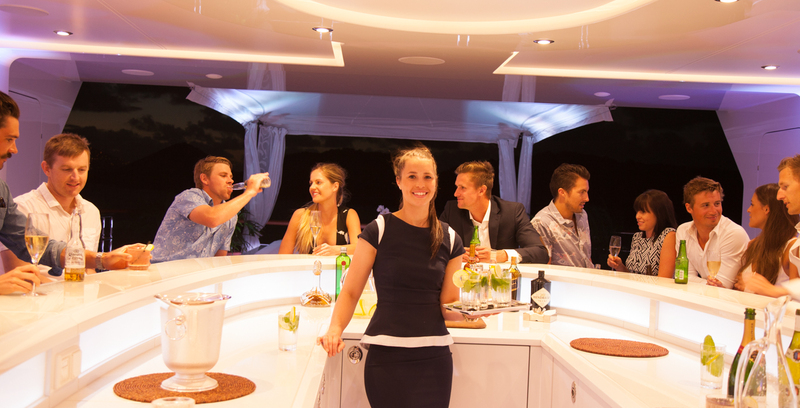 A typical crew on a 100’ yacht includes a licensed captain, first mate, engineer, stewardess, and world-class trained chef. 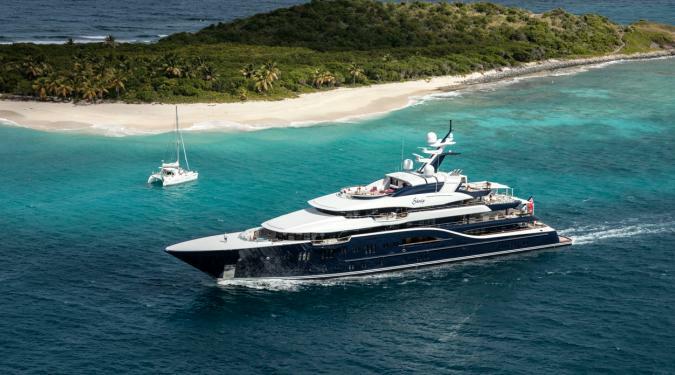 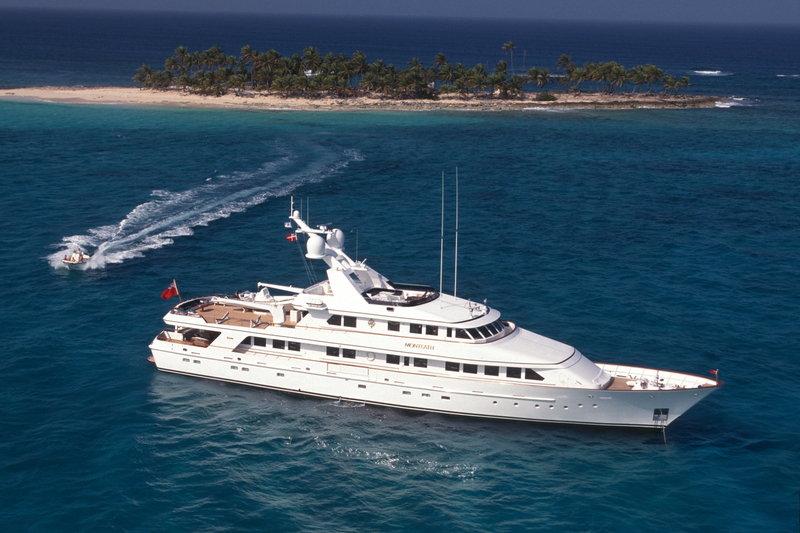 A typical 200’ super yacht charter could have a crew of fifteen offering more than a 1:1 crew to guest ratio. 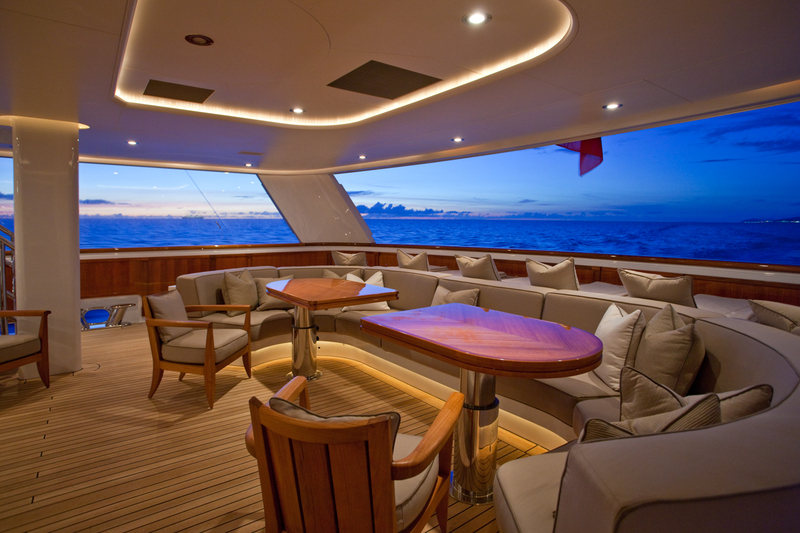 The ondeck crews are proficient in navigation, safety and seamanship. 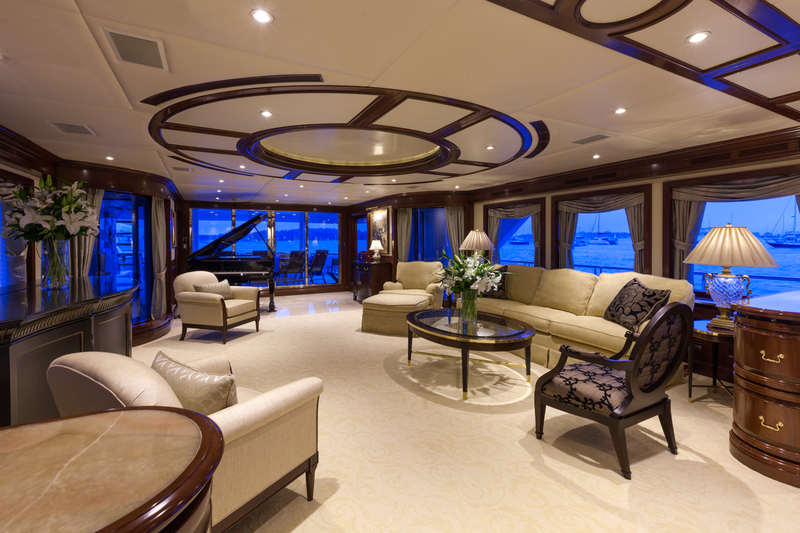 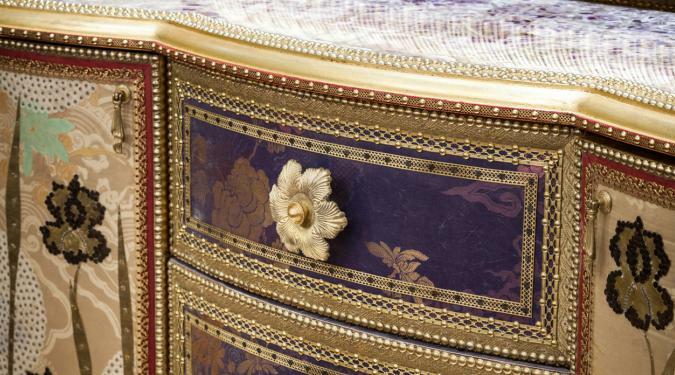 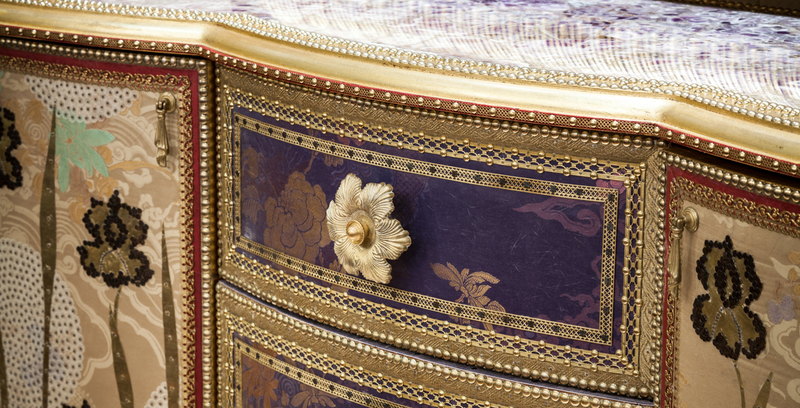 The interior staff are trained to offer a high level of attentive and discreet service. 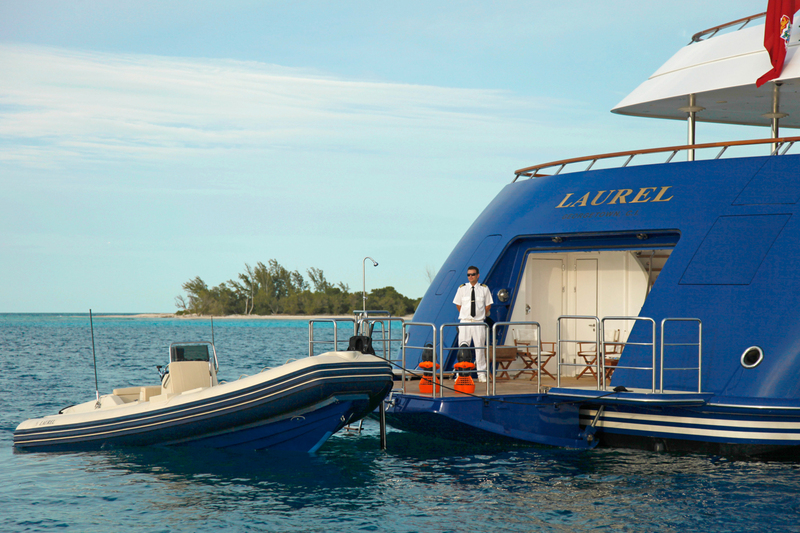 Some of the crew members also serve as watersports instructors, shoreside guides, and concierge. 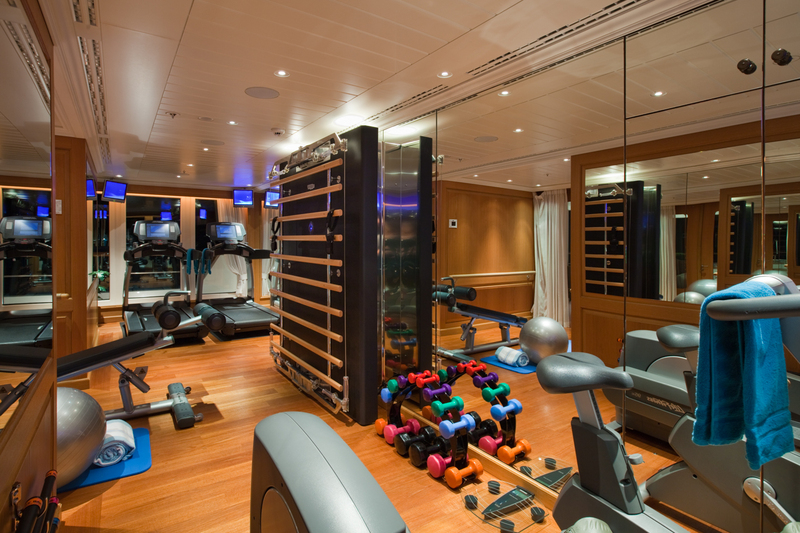 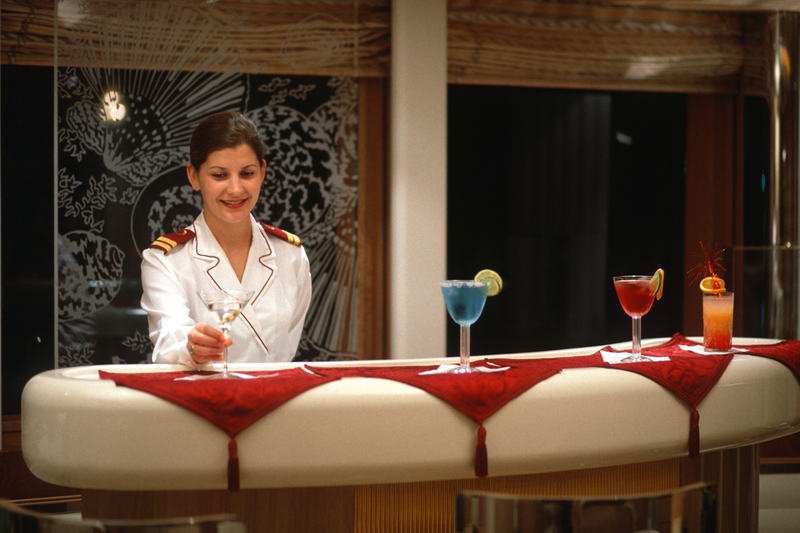 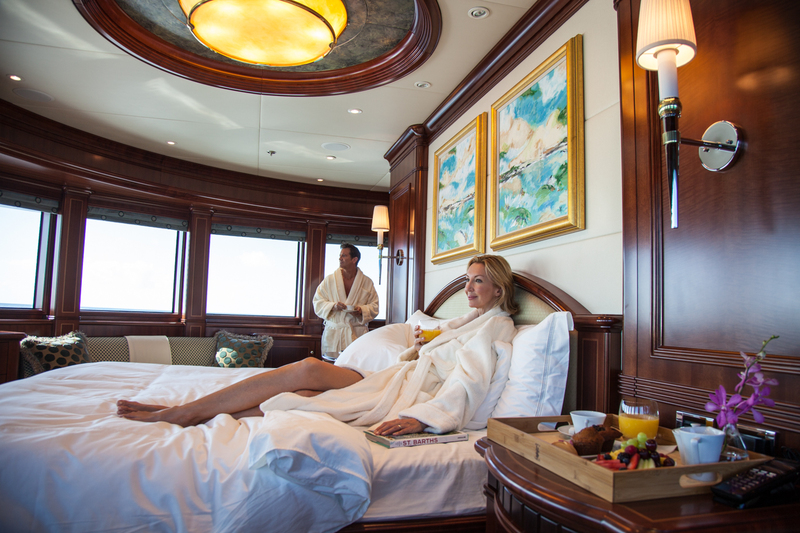 Once you are onboard, they handle all of the daily details to ensure that your vacation is carefree. 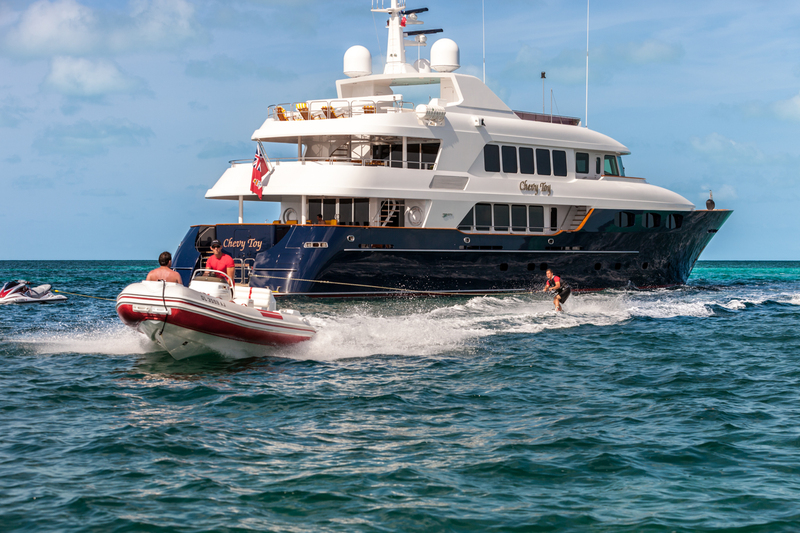 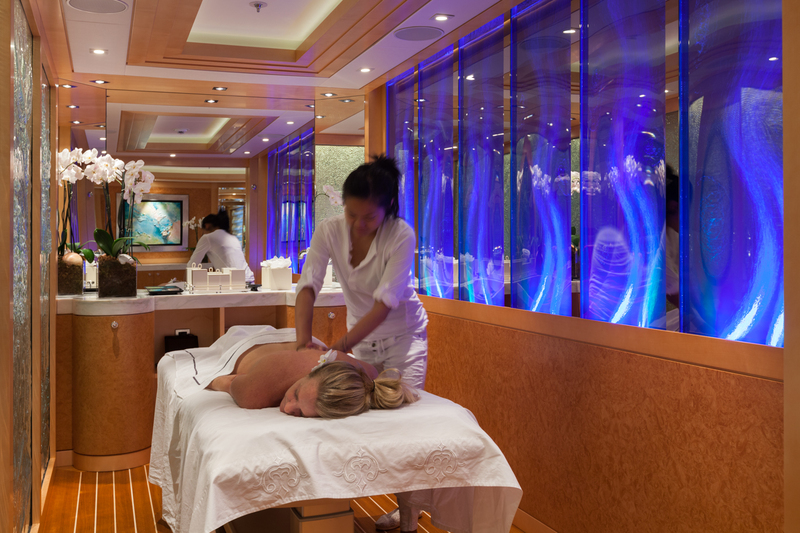 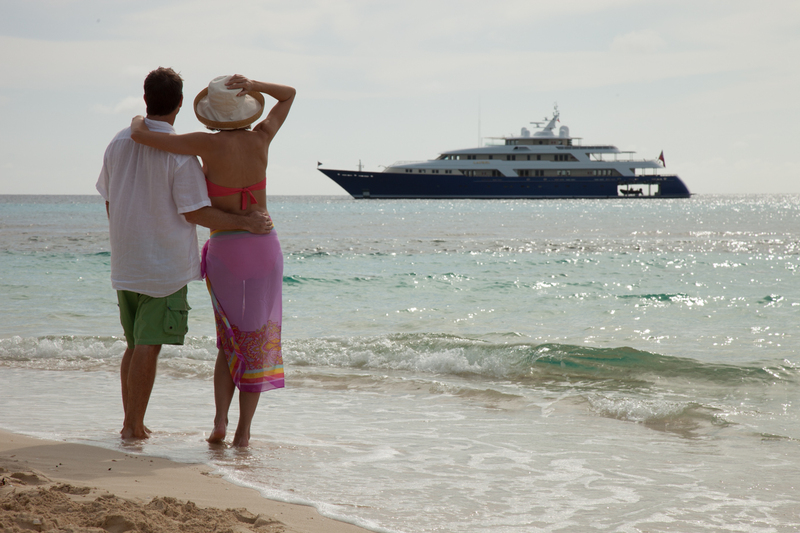 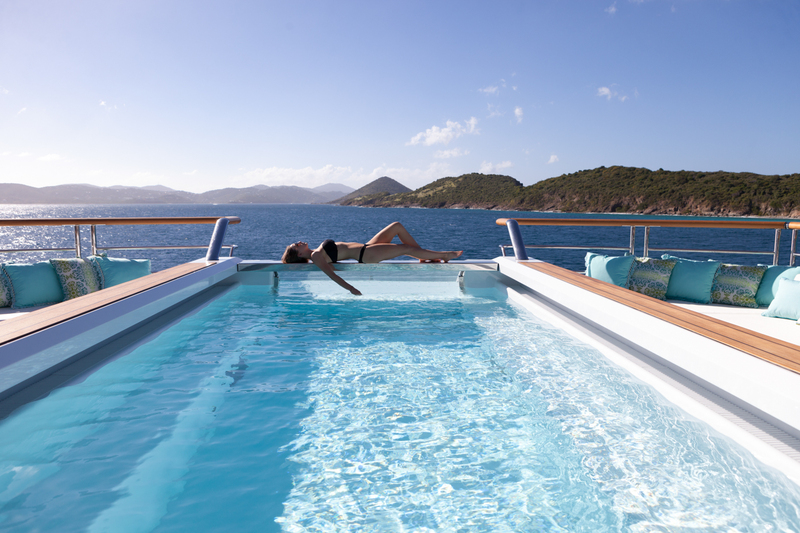 Some of our super yacht charters even have masseuses, musicians, hair stylists, and dive instructors. 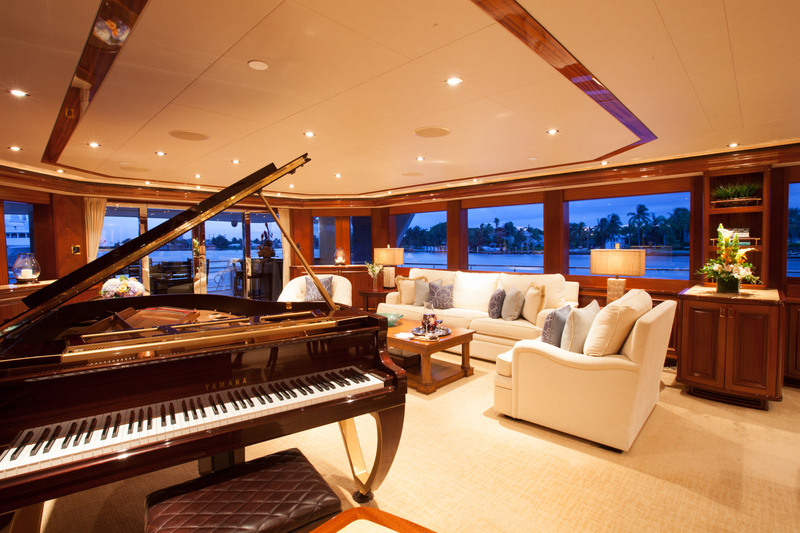 Entertainment: Each luxury superyacht for charter is equipped with an entertainment system that often includes satellite TV and on demand movies and music throughout the yacht including all of the decks and cabins. 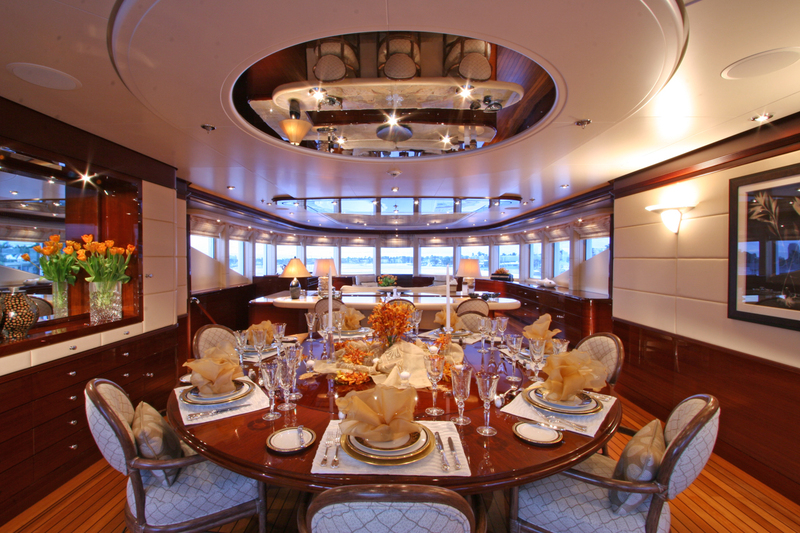 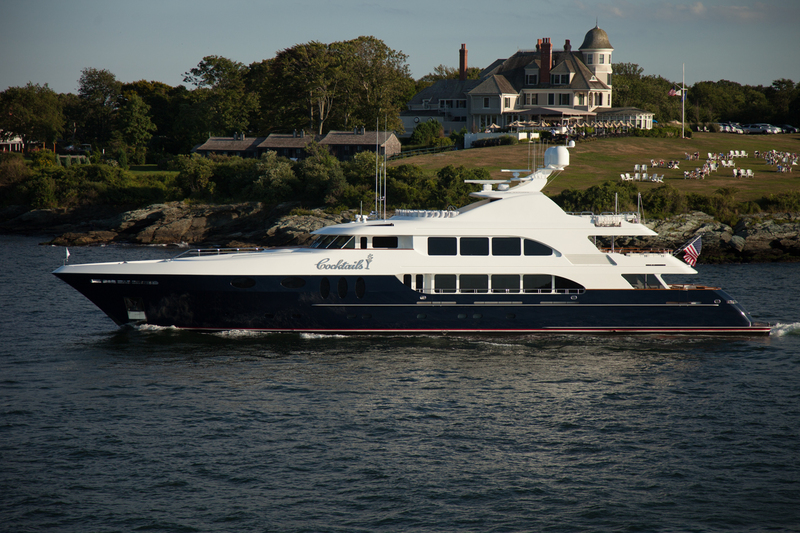 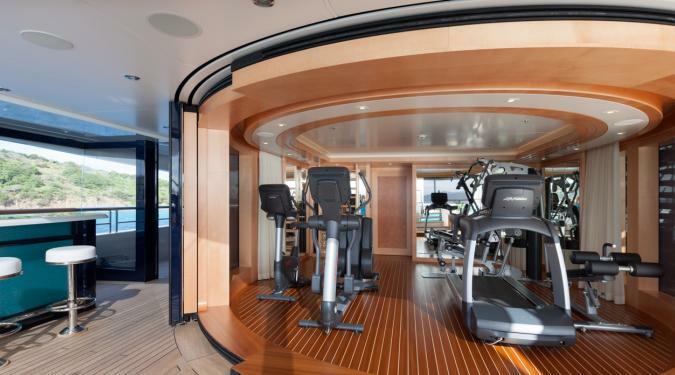 Some yachts have theatr er rooms or can covert a deck area to an open air theater. 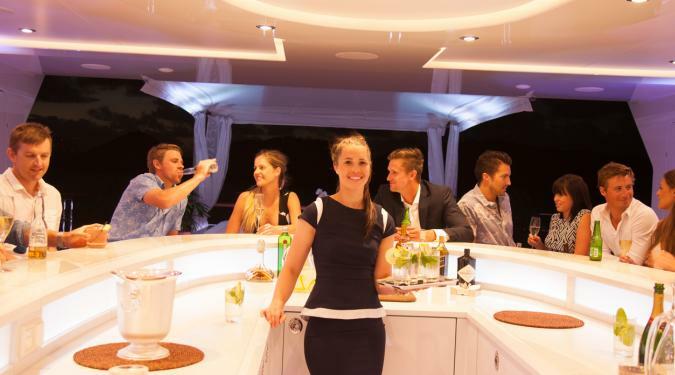 If you enjoy parties and celebrations, we’ll find you a luxury superyacht for charter with a disco dance floor or hire a local band to come onboard an serenade you. 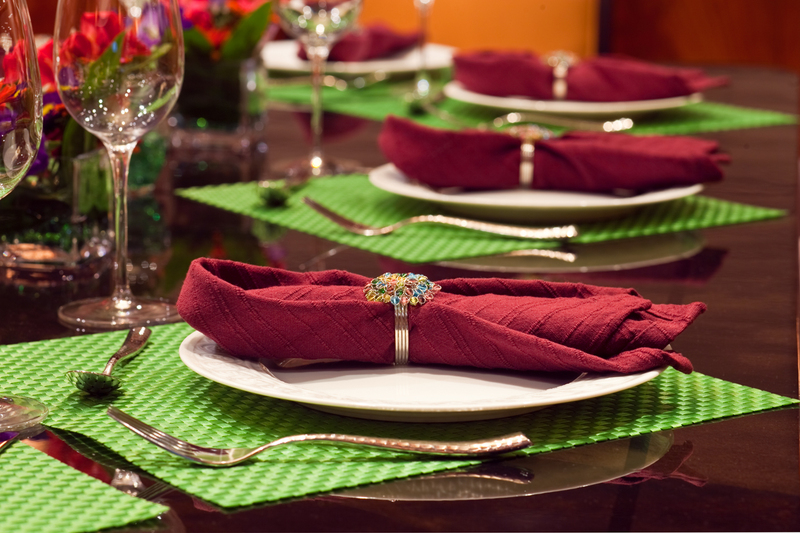 Our chief stewardesses often have a bevy of themes up their sleeves and can dazzle you with a Bollywood night, Pirates of the Caribbean, an 80s party, or a gala party theme of your choosing. 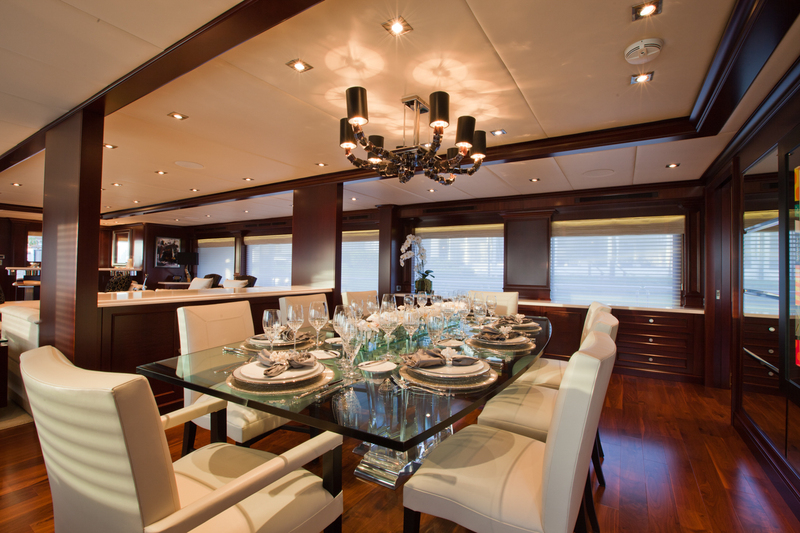 The ultimate choice for space, luxury, and sophistication... floating works of art on the water. 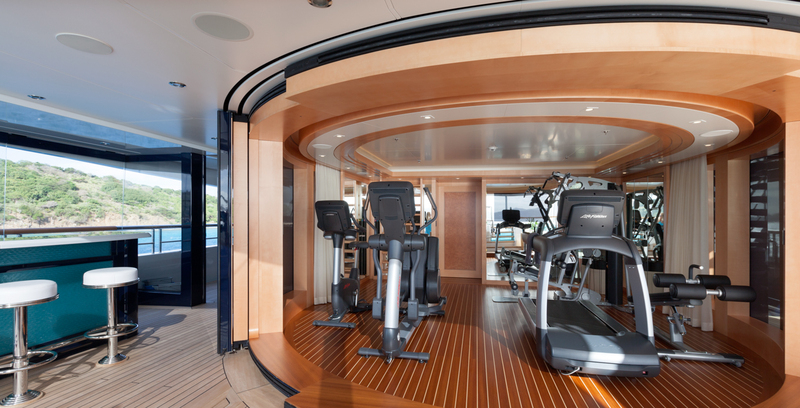 State of the art navigation, entertainment, onboard amenities and security. 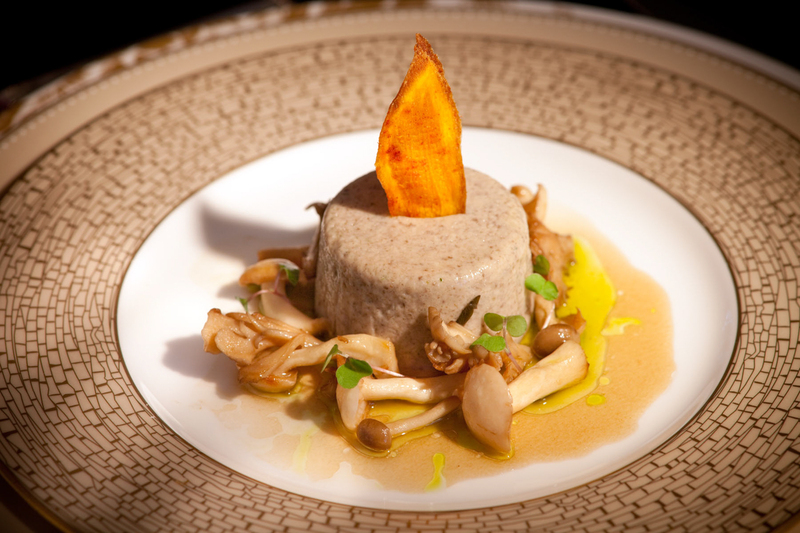 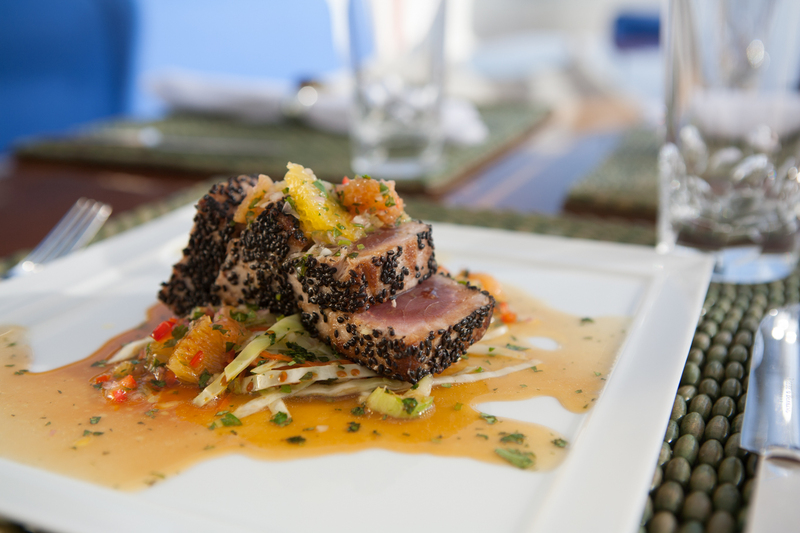 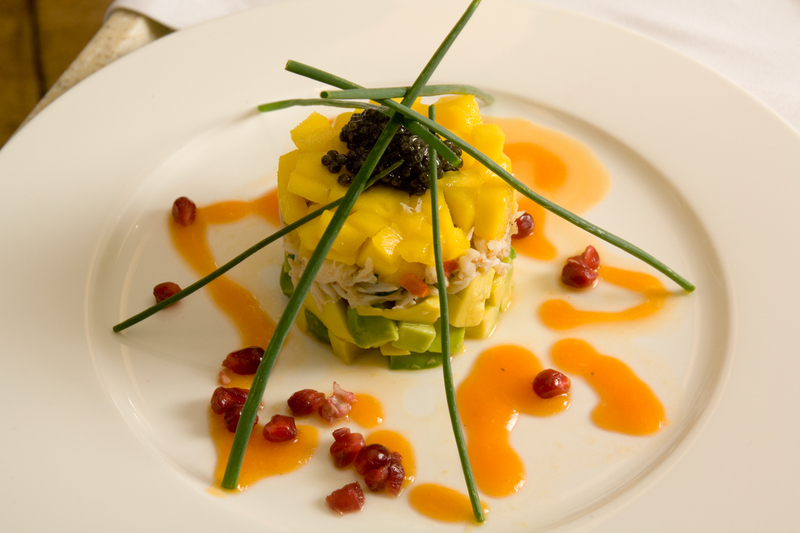 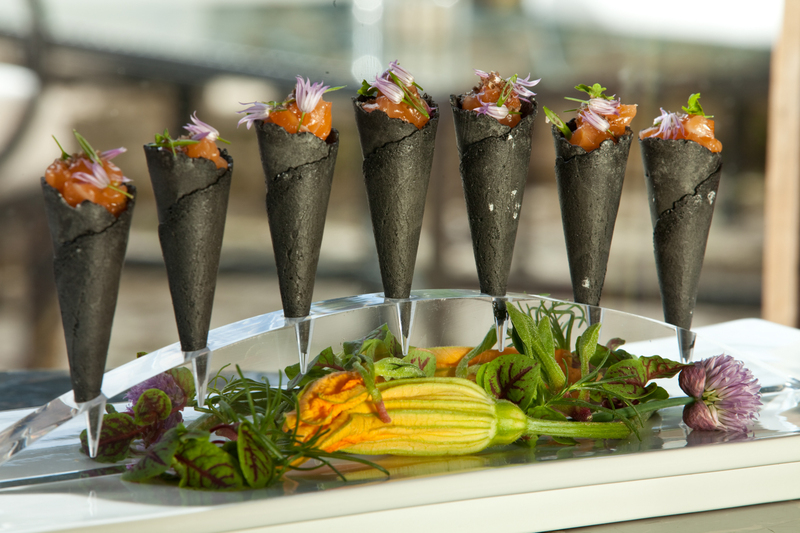 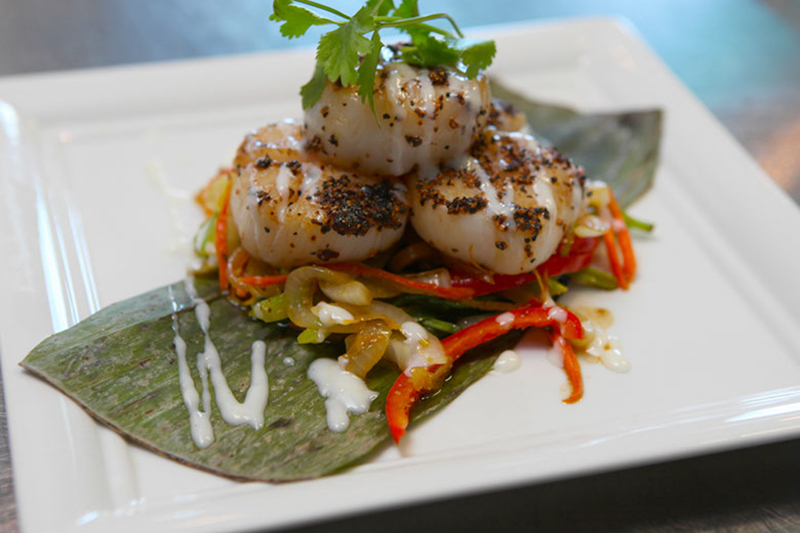 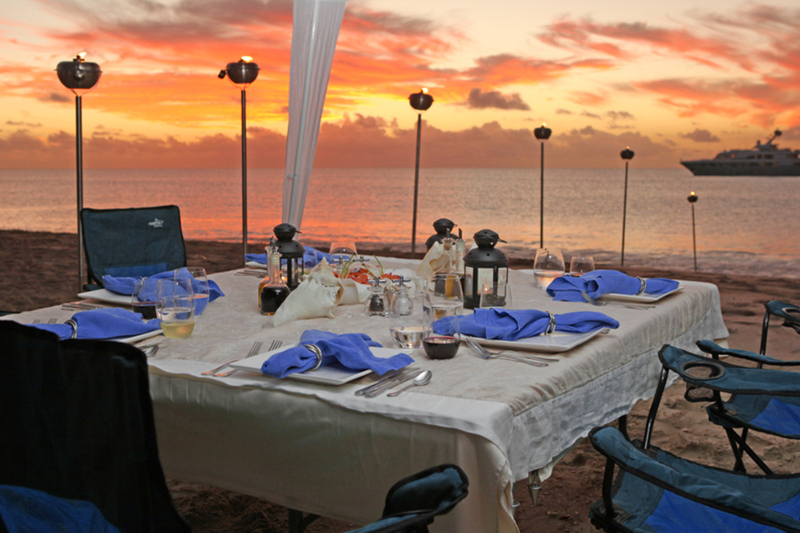 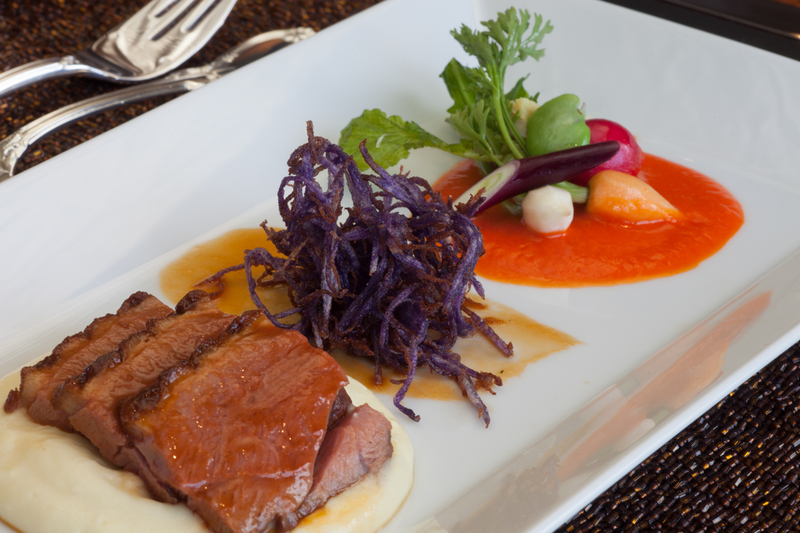 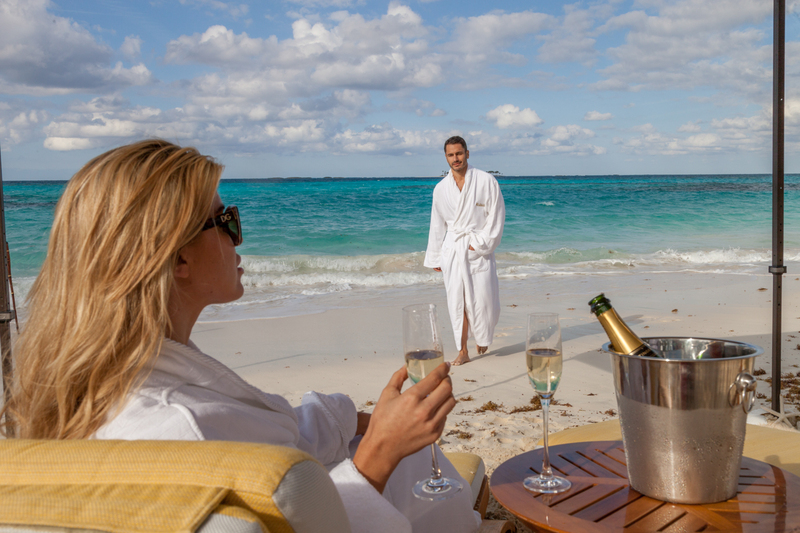 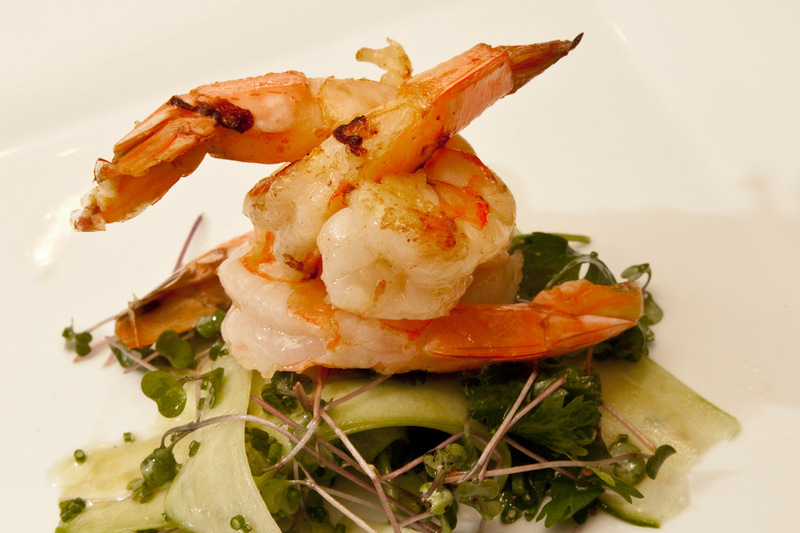 5-star service and cuisine for those who seek the finest things in life and insist on a 100% personalized vacation that is ultra-luxe. 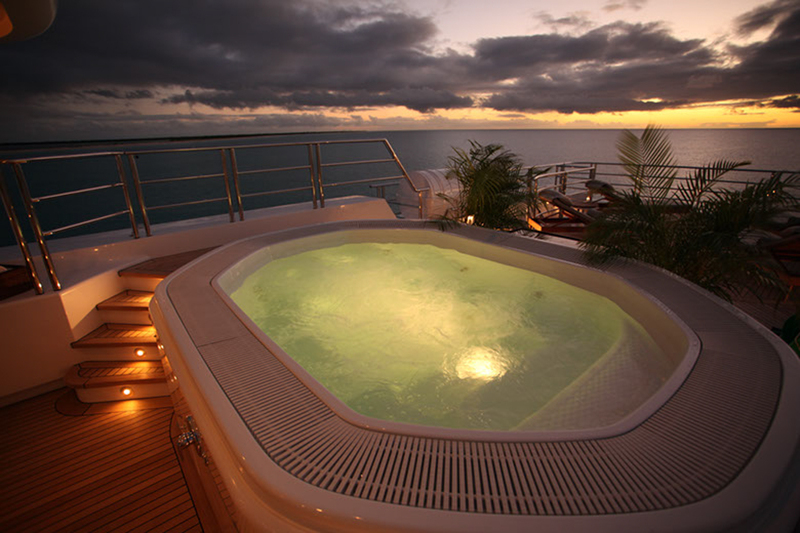 A Typical Example of a Super Yacht Charters - Motor Deck Plan. 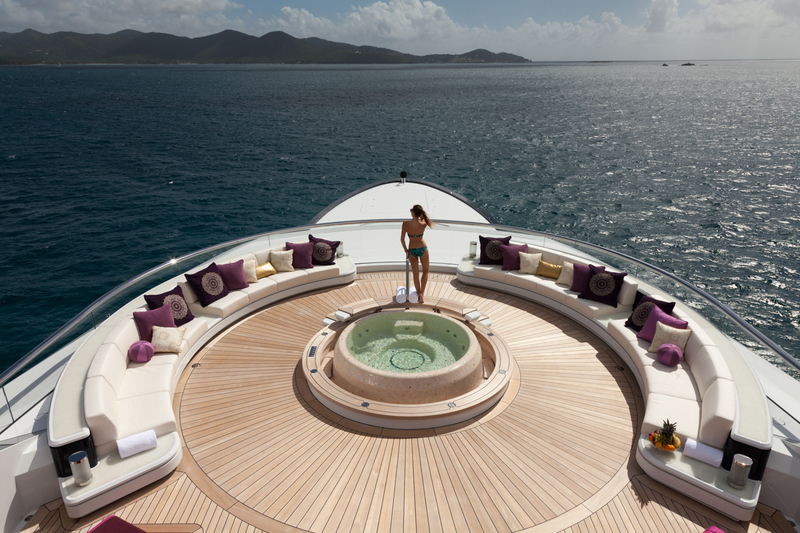 Deck Plan shown is for the yacht named Sycara V, a 223 foot yacht built by Nobiskrug in 2010.